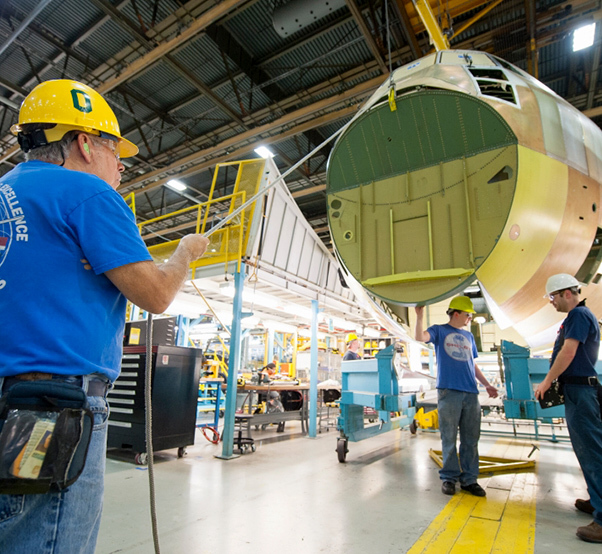 The first LM-100J commercial freighter continues to make significant progress, reaching major production milestones at the Lockheed Martin facility in Marietta, Ga. The LM-100J is the commercial version of Lockheed Martin’s proven C-130J Super Hercules aircraft — the unmatched airlifter of choice for 16 nations. The LM-100J will perform as a commercial, multi-purpose air freighter capable of rapid and efficient cargo transport. Recent production accomplishments include the completion of the aircraft wings; delivery of the empennage, manufactured by the Tata Lockheed Martin Aerostructures Ltd. joint venture in India; commencement of cabtop construction; and the arrival of the LM-100J’s cargo deck, manufactured at Lockheed Martin’s facility in Meridian, Mississippi. The first LM-100J will progress through final production phases over the next few months, with an anticipated first flight in the first half of 2017. The LM-100J incorporates technological developments and improvements over the existing L-100s that have resulted from years of military C-130J operational experience — including more than 1.3 million flight hours. The result of this experience and advancement translates to an aircraft that will deliver reliable service in a multi-role platform for decades to come.